The Pampered Chef is committed to developing multipurpose kitchen tools, providing expert cooking tips and creating simple recipes that enhance mealtime and suit busy lifestyles. With a product line that includes more than 300 offerings – from entertaining to cookware, cutlery to cookbooks, and stoneware to pantry products, they have the simple and affordable solution to get your meal on the table. When you’re a busy mom, you need all the help you can get to put those meals on the table. Personally I have a few of their products I can’t imagine cooking without. My two big favorites being their garlic press (it puts any other press to shame) and their stoneware. We’ve had a pizza stone for years that is now well seasoned and loved. Kimberlee is throwing a party on her website for Southern Savers readers and donating all proceeds from the party to a local ministry called Heartworks Ministry! She’s also donating an additional $5 to this ministry with each catalog party that is booked and held in the months of June, July or August! Pampered Chef also has a program called “Round-Up from the Heart.” During checkout, you are given the opportunity to round up your total on your order. The extra money serves as a donation to one of our local food banks. This means you can give to 2 charities in one stop! If you spend $60 or more (before tax and shipping) on cool products for the kitchen, you can get a FREE savory sauce of your choice. (This offer is only good for the month of June). Kimberlee is giving away (2) cookie presses ($29.50 each) and (4) small batter bowls ($11.50 each). 1. Tell me what the one kitchen gadget is that you can’t live without. 2. Follow Southern Savers on Facebook, Feed Reader, or Daily Email and leave a comment below that you are. Stay on top of Pampered Chef sales and specials by getting Kimberlee’s newsletter! I love love love my apple corer/slicer and my citrus press !!! Would never give them up !! I can't live without my microwavable steam bowl. It makes dinner quick and easy with the veggies portion. I can't live without my can opener. We eat lots of black beans which are cheap and healthy. I love my Pampered Chef Deep Dish Baker, use it at least 4 days a week!!! I love the no-mix pitcher. The special top that stirs everything up is great for mixing Crystal Light in one easy step! I follow Southern Savers on FB too! I love my apple peeler/corer/slicer! I follow you on facebook!!!! Thanks for all of the wonderful info. My one kitchen gadget- hmmm… is a kitchen aid mixer a gadget? Probably not, so I'll say my zester. I use it all the time in baking. I follow Southern Savers on FB and daily email. My apple corer is great. I have 2 apple fiends at my house! Can't live without my food chopper! Their pie server is great, too! I definitely use my blender almost daily! The food chopper is wonderful!!! My Pampered Chef baking stone . . . seasoned to perfection!! Love, love, love it . . .
my cheese grater is my can't live w/o kitchen gadget! 3 kids= alot of cheese! I can use it to shread up veggies too to hide in meals! I have the larger batter bowls and I love it! I use it all of the time. I receive your daily e-mail. I love my apple corer! Something different just came in. LOGAN'S, like them on facebook. Buy 1 get 1. I have 4 kiddos and would love a cookie press to bake with them. It's one of those items that is a desire, but not a must, so with a big family on a budget, we've never had one. Sadly, one of my pizza stone of many years was broken, and another one has been purchased from a kitchen store, but it doesn't compare to pampered chefs quality. I believe their baking stones are a must. I cant live without my rice cooker! Perfect for rice or steaming! I subscribe on Facebook and Daily Email! Can't live without my small bar pan. Great for cooking for 1-2 in a toaster oven or convection oven. I can't live without my small spatula..I used for a lot of things but it is the onlt thing that gets brownies out of the pan nicely! I love my rice cooker!!!! My scale has come in much handier than I ever expected — I love measuring by weight now! I love the deep covered baker! Not sure the exact name, but it is a mixing bowl that has a spout! LOVE it! 1. I can't live without my bread knife- I used to, and I don't know how I ever did! 2. Been following you on RSS and Facebook! I absolutely love my can openers and pizza stone. I follow you on facebook, daily emails and also twitter. My onion chopper is great for diced onions and maters! I absolutely LOVE my Pampered Chef tea pitcher! It is amazing and well-used! I follow on feed reader! I can't do without my garlic press…. Love love it!!! My pampered chef saute pan! I love my pizza stone. Use it all the time. I'm also a fan of the Measure All cup. i could not live without my small food processor! and i LOVE pampered chef! I love the deep covered baker, the garlic press and the kitchen spritzer. I follow you on Facebook and through email. I can't live without a can opener. It's pretty basic, but I use a can opener nearly everyday. I already follow you everywhere! The kitchen gadget I can't live without is my PC can opener! I LOVE it! I love my veggie chopper (from PC)! I couldn't live without my mixing bowls. I use them for EVERYTHING!! I LOVE my baking stone! I use it every chance I get: cookies, pizzas, breads… every thing! It cooks so evenly and I NEVER have trouble with bottoms burning when I use it! I also follow you on email…and facebook. WOO HOO PAMPERED CHEF GIVEAWAY! PAMPERED CHEF HAS SOME AMAZING PRODUCTS..VERY HARD TO DECIDE MY FAVORITE BUT I WOULD HAVE TO SAY JAR OPENER….IT COMES IN HANDY. I love pampered chef's measuring tools–they put the rest to shame! I can't live without my slow cooker – I follow you on email! I'm following Southern Savers on Facbeook! I love their mix n'chop but I personally can't live without kitchen tongs. I use them ALL the time. 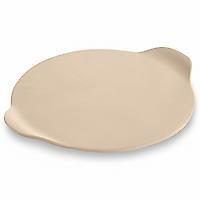 I love my pizza stone and use it for cookies, rolls and biscuits too! I couldn't do without my cutting board! My knives! They're the best! I definitely couldn't live without the pizza stone! It's my favorite and I use it for just about anything that doesn't need a lip on the edge to keep it from sliding or dripping in the oven. The one kitchen item I can't live without is our pizza stone–well seasoned and well loved! I follow SS both on FB and with Daily Email. Oh, and sharp knives (of course). I follow on FB and by email! I live with my slow cooker! Making potato and ham casserole today actually. Well it is cooking while I am at work! I can't live without my bamboo cooking utensils from PC. I love anything that makes up for my abysmal knife skills. Mainly my Zylis and chopped and my Papmered Chef Mandolin Slicer. I follow Southern Savers on Facebook and via Email. I love their measuring cups. They are so easy to use with things like peanut butter and brown sugar because you don't have to scrape them out! Sounds simple, but I LOVE the Pampered Chef Spreader. I use it multiple times throughout the day! I have never used any Pampered Chef cooking pieces. You totally need to check it out. I love my microwave steamer pots (i dont know the official name for them). They are awesome! I used them all the time to cook any veggies! Their measuring cups are wonderful! I know it seems petty but I LOVE my can strainer!. I use it daily to strain cans of beans and rinse them. my rice cooker! I think I use it three times a week now! My round stone for pizza, biscuits, rolls, and lots more!!! I love my garlic press! I follow on fb & email! I follow Southern Savers on FB, thanks! My digital scale! I can measure everything in one bowl without dirtying a million measuring cups and spoons! I love the small spatula is wonderful and I use it almost everyday! I love my large batter bowl! It's so handy. i follow southern savers via RSS. 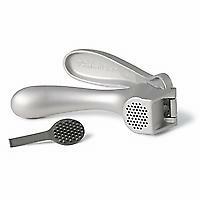 I can't live without my garlic press from Pampered Chef. I follow Southern Savers on Facebook and get your daily emails. I love my can opener… I have always had the hardest time with can openers but finally found one that is not electronic, or difficult, and leaves a dull edge! I follow on facebook and emails! I can not live without my saute pan. I use it everyday for cooking. I love the microwave steamer. May sound crazy, but the Pampered Chef gadget we use the most is the Pampered Chef kitchen timer. It counts down, counts up, and works as a clock. We've had ours so long we've had to change the battery. It is the easiest to use kitchen timer I've ever had. We LOVE it! I follow on Facebook and receive the daily emails! Thanks! Following Southern Savers on Facebook! I LOVE their knives!!! They're always sharp! I also love getting updates from you on facebook! As materialistic as this sounds, I could not live without my KitchenAid mixer. Is an absolutely fabulous tool for all the baking I love to do. I follow you on Facebook and Twitter and love all the deals you bring us! Thank you! Pizza stone — leave it in the oven and it helps regulate temps. I have the large batter bowl and use it ALL the time. It hardly ever makes it to the cabinet. Straight from being used to the dishwasher, and right back to being used… It needs a companion to catch a break. I have the Oval Red Stoneware baker. Their bamboo spoons are really nice too.My sister used to sell it and the quality can't be beat. I follow all three – the daily email, feed reader, and facebook! Can't live without the whisk. I love the pampered chef can opener. I love the stone loaf pan! I love the hand-held chopper! It's great, and super easy to clean. I follow SS on FB! Love my baking stone to cook pizza. Cant live withour my pc food chopper! our pampered chef gadget that we love is the mini spatula and the mix and chop for ground beef. we love them and always give them as gifts. I cannot live without my Santoku knife! I am a fan and get daily emails. I don't have any pampered chef but would like to compare the can opener to the one I have from tupperware. I couldn't do without my classic batter bowl! I use it to mix everything, and I've even cooked in it. It makes a neat little football cake! I use my chopper all the time…saves soooo much time! I love my apple corer. So handy! I love my pampered chef adjustable measuring spoons. Batter bowls… hands down my favorite!! I love pampered chef! I love my food chopper. I don't know if it's a gadget, but I can't go without a good, solid knife. I have had a couple of pampered chef parties and have chopper, can opener, stones , cookie press, mixing batter bowl, slicer and several other items . I love them. I love my set measuring cups. The markings are inside so you don't have to look at the outside. I follow SS on FB and by email. I love my pampered chef can opener, but it is time for a new one! I follow Southern Savers on Facebook!! :) Enjoy your day! I love their bamboo untensils! I follow SS on FB and subscribe to your daily e-mails also! Count me for 2 entries! I follow southern savers on facebook!!! I can't live without my garlic press! I put garlic in EVERYTHING and it tastes so much better fresh pressed rather than in the bulk containers minced! I love Pampered Chef's measuring spoons. They adjust to different measurements, so you get lots of spoons in one. I love my Pampered Chef Baking Stone! We use it for almost everything! I love spatulas and use them just about every day! As an Italian, I can't live without my Pampered Chef garlic press…truly is amazing!! Just signed up to follow SS on Facebook. Thanks for the great site Jenny! I love my Pampered Chef stoneware and use it almost every day. I follow you on facebook! And I can't live without my iron skillet! A good sharp knife is so important when I'm cooking. Garlic Press and Pizza Stone. They both are great! Adjustable measuring spoons and cups. I follow you on facebook and I couldn't live without my Measure All Cup! I use several of their items a lot, but I really enjoy my pizza stone. I follow via daily email. I follow on Facebook and email! I LOVE the jar opener. The jar opener is adjustable to most jars and I could not live without it!! I really like their small spatulas! Perfect for flipping an egg. I follow SS on FB. I love my pizza stone. I LOVE my baking stone. Evey Sunday it helps me with hot flaky bisciuts!!! I have a Pampered Chef non-stick cooling rack. I LOVE it! Definitely my garlic press for when I make homemade sauce. It's a must have in the kitchen. iI can't live without my batter bowls, we make cookies and brownish each once a week. i cant live without my measuring cups! Love my pastry blender – so helpful for mixing all kinds of things. I can't live w/o my whisks! I follow on FB and twitter. My fav pampered chef item is their garlic press. I cannot live without my garlic press….there's nothing like fresh garlic! YUM! I have a Pampered Chef sandwich press and I (and my kids) love it! I follow Southern Savers on FB! A nice set of knives! I love the pizza cutter and those small paring knives. I follow Southern Savers on daily emails and on Facebook. Oops – I almost forgot – I cannot live without my Pampered Chef Ice Cream Scoop and Pizza Cutter!! Hands down, best kitchen purchase ever! Pampered Chef is my favorite, I can't pick one item, I use my chopper, madolin, and garlic press every day or so. I also love my prep bowls and stackable bowls. I already follow Southern Savers on facebook. I follow Southern Savers on FB and daily emails! Can a baking stone be considered a gadget??? If not, I LOVE the new food processor!!! I love my whisk! I use it all the time! My crockpot…not sure that's a “gadget” but it's a must for me & my family. I follow SS through email. I can't live without my PC pizza cutter. I love the large stoneware bar pan, my cookies are perfect every time, the pizza cutter I use for more than just pizza, the crinkle cut veggie slicer the kids love, chooper is great, but I could not live without the large cooking spoon, if it's dirty I wash it, I only want to use it for cooking, and I follow Southern Savers via email!! I love my tool turnabout. Just got the garlic press today and so excited to try that out! I follow Southern Savers with google reader. I cannot live without my mini spreader and spatula! They are awesome!!! My mom gave me her original pizza stone when I moved into my first apartment in college. I still think everything turns out better when baked on the stone! I love my Zyliss cheese grater and my bamboo spoons. Gotta have a spatula. I use it for everything, it feels like. I get SS daily emails. Love my mini spatula…use it on everything, even getting every little bit out of cans. I love my orange peeler. I could not live thru the summer without my old Pampered Chef ice shaver… Freeze the little ice container w/water (my fav) or other liquid and turn the handle. Simple as that for the best shaved ice in the world………. Another favorite is the handy dandy Apple Peeler Corer….. Makes drying apples a breeze here in the South…. I love my pizza stone and my bar cookie pan. I also follow Southern Savers on facebook. My baking stones!!! Follow you on FB too!! I LOVE their baking stones! I use them ALL the time. I cannot live without my rubber spatula! I love my stone and the chopper! small spatula — great for scooping out brownies or lasagna. I own 3!! I love my food processor. Its the most used gadget in my kitchen. I love my garlic press! Don't know what I would do without it. I love my mini food processor! I definitely need the cookie press with a toddler in the house! I follow on Southern Savers also! I have several kitchen gadgets that I cannot imagine cooking without. My best Pampered Chef gadget right now is the bamboo spoons and spatulas. I use them everyday and I love that I can keep them in the dishes while they're hot on the stove. I follow on Facebook and daily e-mail. I love my ice cream scoop from pampered chef and have bought several for family and friends. MY FOOD PROCESSOR. I USE IT DAILEY ESPECIALLY DURING CANNING SEASON. My can't live without kitchen gadget is my stand mixer from kitchen aid. my favorite PC product is my pizza stone. I've had it for 20 years and use it constantly. I am a friend on FB so please enter me twice. I use my potato peeler from Pampered Chef all the time! I couldn't live without my good kitchen knife. I cut everything with it. I also love my cookie scoops to scoop everything from cookies to fillings and muffins. I am a follower of Southern Savers on Facebook and I check the website numerous times a day!! Love the site! I love my pie slicer from Pampered Chef! Too many PC products to list as my fav!! But I use the Executive Cookware every single day. Couldn't live without it!! I love my all in one measuring cup. I love my kitchen shears especially for cutting food for The smallest family members! Couldn't live without my measuring cup from Pampered Chef! I would love to have a cookie press. So many choices, but my garlic press really gets a workout! I was introduced to Pampered Chef a year ago and love my stone mini loaf pan and bar pan, garlic press and corn cutter. I have a list of things I still want!!! I was hesitant to buy because I thought it was expensive but it has been SO worth every penny!!! I am a facebook and email follower. They have so many fun gadgets that it's hard to choose just one. I follow Southern Savers through daily email. I follow Southern Savers on Facebook & love all the great money saving tips. I just signed up today for email – so excited! love the pizza stone & mini spatula!!! I follow Souther Savers on Facebook and RSS Feed. Thank you for all your money saving posts. My favorite Pampered Chef Item is the Mix n Chop!!! I don't know how I ever cooked without it. I love my mini chopper! I also follow you on fb and your daily emails! I couldn't live with out my cutting board. I use it everyday! I love my measuring cup! I love the large batter bowl! I use mine almost every day! I also love the chopper!! Could not live without Pampered Chef scrapers! I can't live without my Pampered Chef can opener!! I love it! :) I follow Southern Savers via email updates. Thanks! I too love my garlic press! Great for making garlic butter. I love my chef's knife! I follow you on Facebook and your daily email. The small scooper is my favorite. Chocolate chip cookies are much cleaner to make now. I follow you on facebook and daily emails. I couldn't live without spoonula. I love it! I like my ultimate mandoline! I can't live without my KitchenAid stand mixer. So handy! can't live without my chopping knife! I get the daily emails. I can't live without my husband in the kitchen. He does all the cooking! I use the Pampered Chef food chopper almost every night I cook. Love it. I am FB friends with you!! I can't live without my can opener. I absolutely loved the oven thermometer that I got from pampered chef. I can't live without my cuisinart food processor or my pampered chef food chopper! I follow on FB and get the daily email. I love their small serving spatula. I own two! My favorite kitchen tool is my Kitchenaid stand mixer. I love to bake and it makes things so easy. I love pampered chef too, though. My favorites are my stoneware! My entire kitchen is FULL of Pampered Chef items. Love the stoneware, and love the bamboo spoons. I love it all. My favorite kitchen gadget is my chopper/mixer…I love making chicken salad with it…YUMMY! I love the knives! I bought the whole block and I can not imagine going back to my old dull knives. I love Pampered Chef's stoneware – have used it for years! The orange citrus peeler is probably the cheapest but the most useful PC item. I love my sandwich press! I use our George Foreman grill a lot! I love my food chopper! And I'm a FB fan & follower. My pampered chef coookie sheets. None compare! I LOVE LOVE LOVE LOVE LOVE LOVE LOVE Pampered Chef. I can't imagine cooking without my Easy-Read Measuring cups, my garlic press, my potato masher or any of my stoneware. I use the small stones almost every day in my toaster oven for snacks etc. I absolutely could not live without our round “pizza” stone. I actually never made pizza on it but rather cookies, bread, and whatever else I can think of. It is used at least twice a week at ou house. Loveit!! I love the pizza stone and measuring spoons! I am a FB fan and follower too! I am an email subscriber to your daily emails. I cannot live without my cutting boards – I am constantly chopping fresh veggies and garlic to include in my cooking. I follow SS on Facebook and daily email! I can't live without my Pampered Chef kitchen scissors. I subscribe to the the daily e-mails. We couldn't live without the chopper. Thanks! I am subscribed and like you on Facebook. the batter bowl and lid are the BEST ever! In my kitchen I can't live without my bamboo spoons. Not a fancy gadget, but great for cooking in the non stick pans, and easy to clean up when I'm done. I love my Pampered Chef meat chopper. It does a great job at getting ground meat cooked very fine. I love their can opener & ice cream scoop! I get your emails. I also follow you on Facebook and Twitter. I can't live without a really great kitchen knife. The one kitchen gadget I can't live without is my Pampered Chef chef knife. I bought it years ago and it's still sharp. I use it almost everyday. I follow Southern Savers via your daily e-mail. Thanks Jenny! I cannot live without my pizza cutter. I love the orange/citrus peeler and all their stoneware. I follow you via daily e-mail. I follow you on facebook and daily email. We love our pizza stone! I cannot live without my good knives. I follow Southern Savers…and am thankful I do! I follow SS on Facebook AND the daily email. My favorite PP product –or the one I feel I can not leave without would be the citrus peeler. Love it! my favorite gadget is my Pampered Chef utility knife. I use it multiple times every day. I follow via FB and email! My favorite kitchen item is my apple slicer (from PC, of course!). I use it much more than I EVER thought I would! I follow SS on FB and Daily Email. I can't live without my pampered chef ice cream scoop and pizza cutter!!! I would not last long without my cutting board. I follow SS on RSS. Right now I am loving my herb roller/chopper! Makes chopping fresh herbs from the garden a breeze!!! Also follow on FB! My favorite Pampered Chef item is my all-in-measuring cup. It doesn't have a space in my cabinet because it's always in my dish drain. I use it every single day! I love the vegetable chopper! I love my Pampered Chef ice cream scoop! Nothing compares. I “Like” Southern Savers on Facebook! I don't own any pampered chef items, but would love to try their pizza stone and the garlic press. I love my Pampered Chef salad serving bowl and tongs!! I have so many favorites. I have one that some people don't even know about: the mini-whisk (not sure of the real name). It's advertised as a whisk for chocolate milk or drink mixes. I use it when I cook all the time. It's the best tool when making a roux or a sauce over the stove. I cant live without my peeler. I can't live without my baking stones. We use them almost every day. I am also a facebook follower. I love my corn zipper – a must for teens with braces,summer creamed corn, and putting up corn in the freezer. What a cool gadget! Just went to a pampered chef party a few weeks ago and I really love my new can opener!! I receive your daily email. I love my baking stone but what I use more is the scraper that comes with it. I use my scraper for washing all of my dishes when something is baked on and hard to get with a sponge. I love baking, and I would be lost without my blender! My scrapers, the $1 paring knives, and my mini spatula….love pampered chef!!! We could not be without our veggie/fruit peeler. Love it! My most used Pampered Chef gadget is the garlic press. I get your emails. Thanks. I cannot live without my bamboo spoons! They are dishwasher safe and greatbecause they do scratch my expensive pots and pans! I love my pampered chef chopper. My all-time favorite PC piece is the smaller round baking stone. It is almost 13 years old, I love it! I follow you on Facebook and I also get your emails! I use my PC spatula everyday! LOVELOVE them! I follow Southernsavers on FB! I follow you on Facebook. I couldn't live without the bamboo spatulas. I follow on FB. My favorite gadget is the tomato corer–I also use it for strawberries in the summer. I used to kill my tomatoes trying to get the core out! I follow on Facebook and can't live without the Twix-it Clips! I love the small spatula…simple but works to perfection. It was close to the new strainer the you place on your pot though. I love me some pamphered chef! I follow SouthernSavers on FB and my favorite tool is the food chopper, although I use my stones everyday! I love my vegetable peeler! I can't imagine being without it! I get the southern savers daily email! Can't live without my small spatula! My very favorite kitchen gadget is definitely my little 2 cup mini-chopper. Can't live without it! I love my mini chopper. I have a bigger one too but I always go back to using the mini. I follow through daily email! I could not live without my garlic press! I've also had their pizza stone for years and love love love it…not just for pizza either! I do follow you on facebook too – thanks for all you do!! I can't live without my garlic press. I can't live without a good chef knife. The nylon scraper that comes with the Pampered Chef stoneware. I have several and they are great for hard to clean pots and pans. I even use them on my smooth stove top. Apple slicer. My son loves apples and this comes in so handy! I get your daily emails and follow you on facebook. One of my fave kitchen gadgets is the pampered chef pastry cutter – i use it all the time! I love my vegetable peeler! I am a follower on your facebook page…love your grand tips…thanks for saving us money.. I can't live without my cookie drop-scoops! I follow Southern Savers on facebook & Daily Email! I couldn't live without their stoneware. Couldn't live without my mixing bowls, measuring cups and spatulas! I couldn't live without my scrapers! I can't live without lots of measuring cups and mixing bowls. We also really love our food scale. I'm a facebook fan and a feed reader subscriber, too. Hi! I'm a Facebook fan – love all the cool coupon updates. I am a facebook fan! Love Pampered Chef! I used to be a PC consultant many years ago, and I still have 95 percent of the stuff I used 13 years ago in my kitchen! Geez, where to start? Do I have to pick just one? I have all sizes of the cutting boards, and they are essential. They are in and out of my dishwasher all the time. The large Santuko knife gets used on a daily basis. And the Mix 'N Chop is the best $10.50 hunk of plastic I've ever invested in. I really love the all in one measuring spoons! It's so awesome not to have to dig around my drawer to find the right one- it's only 1 and click click your there! I love Southern savers and because of them have been able to cook more varieties of meals and use my PC products! Follow u on Facebook too! I almost daily use my kitchen shears, veg. peeler, and batter bowls– their stuff is great!! My pampered chef can opener. I love it. Im a huge pampered chef fan. Following on Facebook and can't live without my can opener!!! I follow with all three! Love my ice cream scoop! I use my peeler all the time. I could not live without my kitchen scissors[stainless]. I couldn't live without my knives! I follow u on my feed reader! I really love my steamer for frozen green beans dont know how I did without it. I love pampered chef! My favorite is my quick stir pitcher. I LOVE my Pampered Chef items, particularly the apple wedger. It's so much easier than any I've used before, and I just stick it in the dishwasher when I'm done. Rust-free and easy. We use it several times a week. I can't live without a good knife. I use them every single day! I good knife can make the difference between fast preparation and frustration. I love my rice cooker! Not to mention making a cake in only a few minutes. I couldn't live without it. I follow you in my Facebook. I have to have to pizza stone…we love it! I follow Southern Savers on fb and email. I LOVE the chopper. Use it all the time! I have so many things from Pampered Chef that I love. All the stoneware, knives and gadgets! I use the pizza stone and I call it a cookie stone all the time. I mean, like every DAY! Also, love the knives. It's hard to narrow down to one item…but I would have to say my rectangular stone is my favorite. I use it almost every day. I follow on FB and get your emails daily! I can't live with out my Pampered Chef mini whip – I use it for everything! I absolutely love my PC salad chopper. I use it all the time. It's great for chopping onions with no tears, and I can throw all the ingredients for broccoli salad in a bowl and have it done in no time. Great gadget! I love the Pampered Chef citrus press and my covered baker. Cooking is so much easier in the microwave with it and it is just like getting it out of an oven that has been cooking for hours. Great products! Definitely my apple corer/slicer…we use it almost every day! I follow Southern Savers on Facebook & subscribe to the daily email. It would definitely have to be my pasta pot with built in colander! Love it! I follow Southern Savers on facebook and get the Daily emails. I love the mix/store/measure glass bowls from pampered chef. Im not sure of the real name obviously, but the pourability is amazing! and I already follow Southern Savers on Facebook! I HAVE THE PAMPERED CHEF MANDOLINE AND LOVE IT. I love the pizza stone,and I am in need of one. I dropped mine and broke it. I can't live without my kitchenaid mixer! I love it! I love the stoneware!! Unfortunately, when I moved out of my mom's, she wouldn't let me take it with me! We made biscuits, cookies, pizza and everything else we could on that stone! I would love to have my own!!. I follow Southern Savers on Facebook, as well in my daily emails!! I cannot live without my chopper! its perfect for everyhing I need to cut! I can't live without my wooden spoons. The sandwich cutter is something I couldn't live without!!! I follow on facebook!!! Love my immersion blender! I am about to follow and Facebook and already get the daily e-mails! My favorite kitchen gadget that I absolutley can Not live with out is my stoneware!! I cook on it every day! I follow southern savers via Facebook. Thanks! I follow southern savers on facebook and twitter. I can't live without the garlic press. We love Garlic!! I love my baking stoneware! I use it for just about everything. From cookies to pizza to chicken and everything in between! cant do without a good knife! I love my pc cook stone. I use it nearly every day. i follow ss on facebook- i love staying in the loop! One gadget I couldn't do without is my can opener! I can't live without my immersion blender! Love, love, LOVE it!! Kitchen gadget that I love is my Sodastream machine perfect for making all kinds of beverage concoctions. I can't live without my Pampered Chef pizza cutter! It works amazing & so much better than any other one I've ever used! I don't have to use scissors anymore, lol. I love my Quick Stir Pitcher. A “must-have” item if you have kids! We couldn't possibly live without our PC pizza stone! I have a teenage son that could eat pizza 3 meals a day if I would let him! I can't live without a good chefs knife. My dad comes over and sharpens it for me ever so often. Thanks Dad! I'm also a FB follower. I never seem to have the right size bowl for batter. Then when I do my husband is using it for his “man sized” cereal bowl! I could use my own batter bowls! my apples slicer, my daughter loves apples! The master scraper and mega scraper! Awesome! I follow you on Facebook – wonderful resource to keep me updated! I love the pizza stone. That is my favorite!! Def couldn't live without my can opener! I love my pampered chef baking stones. Cookies come out perfect! garlic press! its awesome! love the stoneware as well. I love my PC measuring spoons!! I love my chopper! I don't know the name, but my step-grandma called it a “spaaacial” chopper and that's all I've called it since. My griddle, there is no way to breakfast on anything else it cuts the time in 1/2. I follow ss on facebook. It's not really a gadget but I got a cooking stone at my wedding shower 5 yrs ago and we can't live without it! Also, their wooden spoons are in perfect shape after 4 yrs! I love the Pampered Chef stoneware. I guess it would have to be my food chopper/processor which I think I bought at Walgreen's for less than $5. I use it to chop up onions and celery real tiny for stuffing, use it to mash up chick peas for sandwich spread and also eggs for egg salad. I can't live without a good set of knives. I cannot live without my canopener and chopper! I follow Southern Savers on FB and email. My favorite Pampered Chef product is my round flat stoneware. I have had it for over 10 years and I still use it. I follow southern savers on facebook. And I love pampered chef! I follow Southern Savers on FB and daily e-mail. I love my Professional Shears. I use them almost every day! I can't live without sharp knives and a can opener. Yes I am following Southern Savers on Facebook. I LOVE my apple slicer. and I follow on facebook and my google reader. I think a good knife is the best kitchen tool there is! I really like my apple slicer! I love my egg slicer! I am following Southern Savers on Face book. I love my can opener that eliminates sharp edges! My wife says that she loves her Professional Shears. I am following Southern Savers on Facebook. I really like my Professional Shears. I love my wooden spoons!! Can opener…who wants to do it manually! I love my baking stones. The pizza stone and large batter bowl are used almost daily in our home. The Pampered Chef item that I cannot live without is the bamboo spoons. I use them EVERY day in my kitchen and throw them in the dishwasher and they never splinter or stain! I love them!! I follow SS on Facebook. Thanks, Jenny! I don't think I could live without a vegetable peeler I bought at a steam engine show in Virginia. It's impossible to cut yourself with it, yet it peels better than anything I have ever used. It's got a groove on it to slice potatoes for fries too. Love it. I love the pampered chef can opener. It's so wonderful to have with kids around! I love the ice cream scoop! I can't live without – my pizza cutter! My little paring knife, I use it all the time. My small non stick skillet! I use it everyday!!!! I could not live without my Rice Cooker Plus although I have NEVER cooked RICE in it! lol You can make the most awesome microwaved lava cakes with it! We just had Lava Black Forest Cake last night in 10 minutes….LOVE IT! I absolutely can't live without two of the most simple things…… 1= my toaster tongs, and 2= my food chopper. These are used almost daily and have survived when everything else has not. My wife loves the PC Rice Cooker for cooking cake…I love the cake! I follow SS on daily email! bowl scraper spatulas!!!! I follow on fb! One of my favorite PC kitchen gadgets is their hamburger chopper. It makes browning hamburger and getting it in to smaller pieces so easy. I love my garlic press. Fresh garlic is so much better than the powder. I follow on fb! My favorite kitchen gadget is my stoneware pizza pan. The hamburger Chopper! I am following on facebook! My apple corer from Pampered Chef! I use my pizza stone ALL THE TIME!! I signed up for the Daily email. Love my PC stone and measuring cup. And always follow SS on FB! My covered deep dish baker! Love my stone!! I follow on FB and emails!! I love the stay-cool corn cob holders. They are great, especially for little hands that can burn easier than mine. I follow on Facebook. There are so many but I love my stones! I can't live without my Kitchenaid! Pampered Chef is The BEST! Ive had numerous parties thru the years, but My ALL TIME FAV gadget is the garlic press.. We love to add garlic to everything. Its a fabulous product!!! Cannot live without my egg slicer OR my baking stone! Love them! Everyone should own them. I love Southern Savers and I'm a Facebook follower! I also love garlic bread and cookies. I love the food chopper! My husband likes things chopped up small and it works wonderfully! Cannot live without my dutch oven! Perfect for lots of one pot meals! That would probably be my Spatulas. Follower on facebook. Can't get by without my batter bowls. I've used them so much for just about everything and the lids have about had it!! :) I follow you on Facebook, too! I have a full set of Generation II cookware from Pampered Chef. It has been through the onerous joy of me learning to cook! I can't live without my Kitchenaid Stand Mixer… but I would love to have a Pampered Chef pizza stone. And I follow on Facebook. can't live without my spritzer from Pampered Chef. I refill it with olive oil and keep on going. Would love to have the batter bowls. I follow on Facebook. Love these products I follow you on FB! My food chopper upper- that is what I call it. i follow on Southern Savers and I love all of my stoneware. I follow on twitter! I love getting all the latest updates! My pampered chef can opener! I know that sounds crazy, but seriously, other can openers just do not measure up and I was really going through withdrawal the day my husband took ours to work in his lunch satchel. I had to borrow our neighbor's and she ended up having to get a knife out to finish the job (she DEFINITELY needs to chunk her lousy excuse for a can opener and get a PC one! haha)! With 3 small kids, I use that thing all the time, several times a day. I used to sell PC myself years ago. Love the product! I'd love some new stoneware. Mine still works all these years later but now they come in cool colors! I also follow on Facebook and daily email. I can't live without my cheese grater. I finally found a good one and I use it every single day. I can not live without the mini hand chopper! Makes making dinner much quicker! I just love my PC small spatulas! They're perfect for serving up desserts and casseroles. I would love a garlic press. sounds fantastic! can't live w/o the spatulas. Love their garlic press. I use it once a week and it is easy to clean. Would love to win anything from Pampered Chef. Thanks! I follow on FB, and I cannot live without my pizza stone. We have homemade pizza a lot and it makes the best…mine's getting worn out already! I am probably older than some of you here. I have had cheaper kitchen items and Pampered Chef. I am ashmed to say what the dollar total was we lost in the fire. For anyone who wants to save money…cooking at home instead of eating oiut is one of the BEST ways. Everyone has thier favorites, but even though some people say PC is high, you are making an investment on a REALY good product. Everyone should have at least one good knife, cutting board (theirs protect the blades on your knives) and there are a few pieces of stoneware that are essential. After having all of it I can say my must haves would be the large stoneware bar pan and the 9 x 13 stoneware baker. You can only find it on ebay now but the 9 X 13 had a stoneware lid that is deeper than the baker. I put meat (even frozen) and veggies in the baker and would cook overnight or during the day while at work and would have just about a complete meal ready. Whole chickens are great in the baker, I usually cook two and take the meat from one for casserole, salad, dumplings, wahtever and the meat literally falls off the bone. The large microcooker is also a must have for me, especially in Summer. To keep from heating up the kitchen and to have quicker meals we grill alot. I don't think there is a veggie I haven't cooked in the microcooker. The lid snaps on for leftover storage and the thing pops back in the microwave to reheat. Before the fire I owned 5. The small one with handle is lifesaver for anyone with young ones to heat soup, oatmeal, spagettios or whatever for a snack. The handle never gets hot so they never burn themselves. MY FAVORITE PAMPERED CHEF KITCHEN GADGET WOULD BE THE GARLIC PRESS. I ALSO ENJOY THE STONEWARE COLLECTION, NOT SURE WHAT I DID BEFORE I OWNED A PIZZA STONE. :)….I ALSO FOLLOW SS ON FACEBOOK! I love all my pampered chef stuff but I LOVE the stones!!! I follow you on Facebook Everyday!!! I can't live without a good mixing bowl!! I follow on facebook. And I could not live without my crock pot! I cannot live without my kitchen aid mixer! I love the medium scoop… but really, there aren't many kitchen gadgets I don't like :) I also am a huge fan of Pampered Chef stoneware! i love my pizza stone, i use it at least once a day for just about everything! i follow ss on fb too! i love the pizza stone and the hand chopper!! I really like their scoops and whisk. I am following SS on FB. My favorite kitchen gadget is a food processor, which I don't have at the moment (and my blender just broke :(). I also love my Kitchen Aid stand mixer. I love all the kitchen gadgets!! I cannot live without a garlic press. Period. Cutting boards, for sure. I use 3-4 every day. I have a self sharpening paring knife I couldn't cook without! My knife set and mixer! I am always cutting fresh fruit and veggies-daily. And I follow SS on FB! Pampered Chef pastry roller! It rolls out our whole wheat pizza crust right in the pan! I would love a pizza stone. We used to have one and it's now broken. Pizza just isn't the same without it. My absolutely necessary Pampered Chef item is the instant on thermometer and I “liked” (would have clicked “love” if it was there) Southern Savers on Facebook! Following on Facebook and I need the food chopper!!! I love my classic batter bowl that I got from Pampered Chef. I can't live without a serated knife, crazy but how am I going to get thin thin slices of a great tomato to make it last longer. I love my PC prep bowls. I can not live without my small batter bowl…use it ALL the time!! I can't live without my potato peeler. It is a close race but my apple corer slicer has been my favorite for the longest amount of time. I am a Pampered Chef addict! I just finished canning jam and used: three sizes PC cookware, small and large batter bowls, potato masher, easy read measure cups, and pot holders. I fixed supper using large pizza stone and covered baker, julienne peeler and mandolin. I would have withdrawals if I couldn't use PC! I love the pizza stone. our family loves the ice cream scooper! Crockpot!! I couldnt live without it! I follow by daily email! Love Pampered Chef items – have tons of it that I use on a daily basis. My new favorite piece is the Mix and Chop! I like the apple corer slicer. I LOVE THE GARLIC PRESS. IT IS SO EASY TO ADD DELICIOUS, HEALTHFUL GARLIC TO ANY DISH WHEN THE PRESS IS NEAR AT HAND. My favorite kitchen gadget is a frying pan. I follow Southern Savers on email and facebook. I can't live with out my kitchen shears or my smooth edge can opener! I follow Southern Savers on email. My husband says I can't live without a microwave… but I'm not sure that counts. Pampered Chef, self sharpening knives! My spatula spreader is used EVERYDAY so I have 2 and really do need another one. I follow SS with daily emails. So hard to pick only one…gotta go with my stone ware AND 2-in-1 measuring cup! I follow SS on facebook and daily emails..
Just love my pizza stone and the new ones with handles look even better..
Great. Too bad I am not much of a cook. Can not live with out my PC spatula. It is my absolute favorite. I love using the cookie scoops and the oven mitts are great. I love my Adjustable Measuring spoons and Measuring cup that pushes out shortening. I cannot live without Pampered Chef's pizza cutter. It is the greatest! I can't live without my mixer!! I can't live without my measuring cup. It is the type that allows the measurement to be viewd from above. I can't live without my garlic butter brushes. I use at least one per day. My Pampered Chef mini loaf pan is the best. I follow southern savers on Facebook…love it! can't live without my can opener. Love the PC grater. We've been using it to grate our own cheese and it has saved us a ton of money. Of course I follow SS on FB! It's not really a “gadget” but I can't live without my wooden spoons! I use them all of the time! I follow you on Facebook and Google Reader! I can't live without my spatulas. I misplaced them once while moving, and really realized how much I need them. I also am following Southern Savers on facebook. definitely can't live without the chopper and the garlic press …. use them weekly! Can't live without my stand mixer! I love my chopper…have worn out two of them and need another. I have bought several other brands, some that cost just as much, but the Pampered Chef one is far better than the rest. I don't have to drag out the food processor for those little chopping jobs…esp. onions and fresh herbs. pizza stone, cant live without it! Favorite gadget in the kitchen is my twis it clips! I use them for everything and buy more at every party. We love the pizza stone! I follow you on FB, not that I need too, I'm on your website more often than FB! I can't live without my cheese grater! I love following you on the daily emails! I use my pampered chef egg separator, clips, scrapers, wooden spoons, and pizza stone daily! Love them all! I love my garlic press. its so easy and my hands don't smell like garlic. i use it 5 times a week. Can't live without my ice cream scooper. I love my pizza stones. I have the full size and the small size. Also love the mini serving spatula! Perfect for cookies! I love my Pampered Chef can opener and chip clips. I love all the Pampered Chef products. Great quality. I follow Southern Savers via email. My favorite kitchen gadget is my cheese slicer! I love so many of the Pampered Chef products, like the Twixit Clips and Prep Bowls. Outside the PC products, we use a cast iron skillet and KitchenAid mixer a lot. I can't live without my pizza stone!! I am a new follower of Southern Savers on Facebook, but have always read the blog! Stoneware products by PC are awesome! actually i have always wanted a cookie press! i can't live with out my cheese grater! i love fresh grated cheese on everything from salads to pasta to pizza! I follow SS daily emails. I am following on facebook. My favorite piece is the bar pan stoneware. I need my rolling pin – I use it everyday! I love my Pampered Chef Paring Knife. I use it everyday and couldn't live without it!! My electric skillet. I would love to have a pizza stone too. I love my oil sprayer! This is going to sound strange but my fav is the scrapper that comes with the stone. I use it for SO MUCH MORE than just scraping my stone. I CAN NOT LIVE WITHOUT MY NON-STICK PAMPERED CHEF ROUND STONE. I USE COOK EVERYTHINF FROM PIZZAS TO COOKIES ON IT. YOU NEVER HAVE TO GREASE IT. NOTHING HAS EVER STUCK TO IT BEFORE. WHEN I FIRST STARTED COOKING I BOUGHT THE CHEAPEST I COULD FIND. WE HAVE NEVER HAD A LOT OF MONEY AT OUR HOUSE TO SPARE FOR COOKWARE BUT THIS GIFT WAS THE BEST EVER. IT MAKES ALL THE FOOD TASTE SO MUCH BETTER AND IS A BLESSING. I WOULD BE HONORED TO RECIEVE ANOTHER PRODUCT FROM PAMPERED CHEF BECAUSE IT IS SOMEWHAT EXPENSIVE, BUT IF YOU HAVE A LOT OF MONEY, IT IS SO WORTH IT!!!! I AM FOLLOWING YOU ON FACEBOOK TOO! IM DESPERATE FOR COOKWARE AT MY NEW HOME! I really love the pizza stone. I love the wooden tongs. I couldn't live without my coffee pot! I love my food chopper! I can't live without my garlic press! Love my chef's knife best! :) I subscribe to the daily email from Southern Savers. I have their can opener and love it- no sharp lids anymore! I follow SouthernSavers on FB! I have the garlic press also and I LOVE IT! love my food processor and my apple corer! I'm following you on Daily Email. My favoriate Pampered Chef product is the Microwave Steamer bowl with lid….I have had mine for 15 years and LOVE it. My favorite Pampered Chef item is the stoneware-I have a few pieces of it and they are wonderful! Can't live without my food chopper!!! I so couldn't live without my pizza stone…actually, and the wooden spoons, they have lasted forever! Probably the potato masher! It rocks. I love the pizza stone. We have used it almost every day for about 8 years! I cannot live without my classic batter bowl.. I love that it has a lid when so many bowls don't! I love all the products but my favorite is the pie shaped stone. My husband loves egg custards and they bake wonderfully in this stone. The measuring cups with tops are great too. The gadget I can't live without is my i-slice. That little thing can open anything! I can't live without my toaster. Its makes eating breakfast daily essentially easy. Can't live without my garlic press – no peeling, no stinky hands! I have to have my food chopper! Oh these “one favorite thing” questions are too hard!! Who can really chose just one!!! :) I have so many “can't live without” kitchen gadgets, many are Pampered Chef but some are not. Probably the biggest thing I could not/would not want to live without is this HUGE 5 quart non-stick skillet I have. We have a big family and it's so helpful. I use it almost everyday!! My favorite pampered chef product is my stone! I follow S. Savers on Facebook! Love it! I love silicone brushes and spoonulas . Also love Southern Savers on FB. I just went couponing today for the first time, I saved $12.00 at CVS and spent $8, and I have $2 Extra Care Bucks. I am sure once I get the hang of this it will get easier and I will save more, I signed up for email on Southern savers and I plan on following on Facebook also. My favorite kitchen gadget is measure-all cup. I use my rubber spatula almost everytime i cook. It's my favorite tool in the kitchen. I also love my veggie chopper that I bought from pampered chef. It makes chopping vegies a breeze.